Indian Navy invites applications from eligible candidates to apply ON-LINE through website www.bhartiseva.com for the post of Tradesman Mate classified as Group ‘C’, Industrial at Naval Dockyard, Mumbai (application in other forms of mailing will not be accepted). Selected candidates normally will have to serve in the Units under administrative control of Headquarters, Western Naval Command, Mumbai, however they can be posted anywhere in India, in Naval units / formations as per administrative requirement. 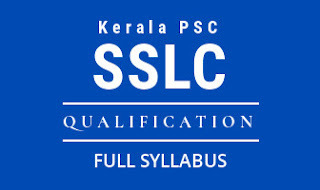 Educational Criteria/ Qualification: 10th standard pass from a recognized board/institution. recognized Board / Institution which has ‘Grade Point’ system need to get their grade point converted into percentage of marks by appropriate authorities before applying. (c) Before start of filling up of online applications, a candidate must have his/her photograph and signature duly scanned in jpg format in such a manner that the size of photograph/signature should be below 150 Kb and size of documents should be below 500 KB. (d) Applicants need not send copy of application form or any document to this office. However candidates are to take a printout of Application Form for his / her personal record. REGISTRATION / APPLICATION FORM AND E-ADMIT CARD IS TO BE BROUGHT TO THE VENUE OF EXAMINATION ALONGWITH COPIES OF REQUISITE CERTIFICATES / TESTIMONIALS IN SUPPORT OF AGE, EDUCATIONAL QUALIFICATION DULY SELF ATTESTED, FAILING WHICH THE APPLICATION OF THE CANDIDATURE WILL NOT BE CONSIDERED AS VALID. (e) If the candidates commit any mistake in filling the online application form, it cannot be corrected by this office. This office will take no responsibility of any kind for such forms. 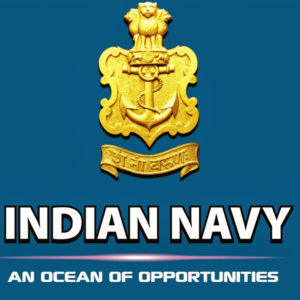 (f) The applicants must ensure that while filling their application form, they are providing their valid and active e-mail IDs and mobile number as Indian Navy may use either mode of communication for contacting them at different stages of recruitment process. No change in the e-mail ID will be allowed once entered. 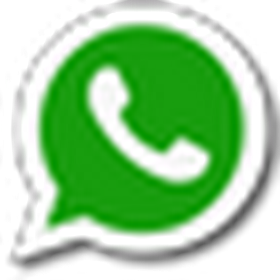 Management will not be responsible for non receipt of email and loss of their e-mail ID password. (g) Candidates are requested to remember the password given by them during registration as it is important for further login. (h) Candidates are strongly advised to apply online well in time without waiting for the last date for submission of online applications. (i) Applicants should not submit multiple applications for same post. However, if due to any unavoidable circumstances, any applicant submits multiple applications then he / she must ensure that the application with higher registration number is complete in all respects, which is the only one to be considered. (i) Passport size color photograph with light background (preferably white) without any obstacle covering/obstructing the face and eyes. The size of photograph should be below 150 Kb. (ii) Candidate’s signature should be on a plain white paper with black ink. The signature should not be digitalized. It should be scanned copy of your own signature on paper with pen. The size of signature document should be below 150 Kb. (iii) A copy of candidate’s Caste Certificate, in case applying against a reserved post. (iv) A copy of candidate’s Birth Certificate/Matriculation certificate for Date of Birth. (v) A copy of candidate’s highest education qualification proof. (vi) A copy of certificate duly indicating the proof of Ex-Servicemen issued by the Competent Authority. (vii) A copy of certificate showing disability for PwDs, if applicable.